From Textile Way to Broadcloth Street and beyond, Kingsley is a close-knit, heirloom community that encourages you to relax and weave your way past dining gardens, through festivals, markets and other social spaces, eventually arriving at its shining centerpiece -- a 10-acre lake. 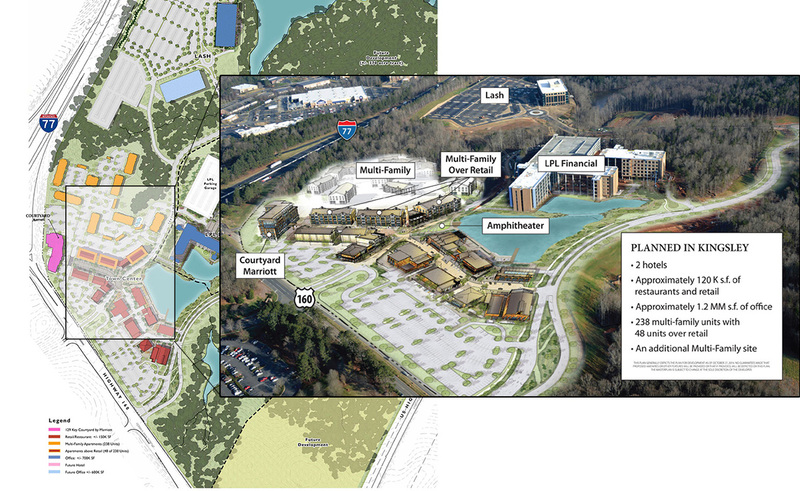 Mixed-use meets a contemporary mill style. Turn onto Textile Way and you realize that you are somewhere unique. Carefully detailed brick arches open up to the vitality of the businesses beyond, while contemporary steel trellises cast striated shadows on families enjoying an afternoon walk. Textile Way guides you into the heart of Kingsley, where Broadcloth Commons, The Yard, and the best restaurants in the area come together, foregrounded by the shores of a 10 acre lake. Inspired by the courtyards of textile mills, Broadcloth Commons is a contemporary space that can quickly shift from main street to festival street. Broadcloth Commons is special in its use of textile patterns in new and surprising ways. 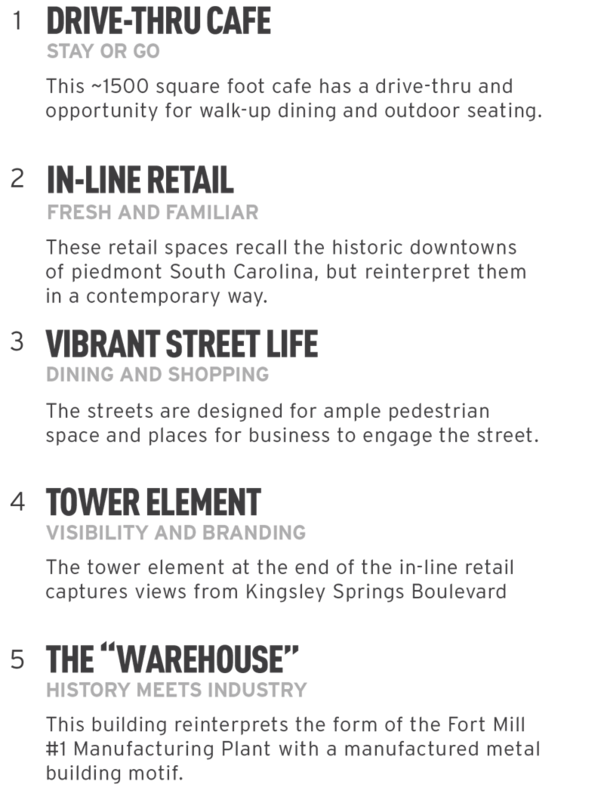 Paving, brickwork, graphics, and lighting will be contemporary interpretations of the Springs textile legacy. Broadcloth Commons is the place for block parties and market days. 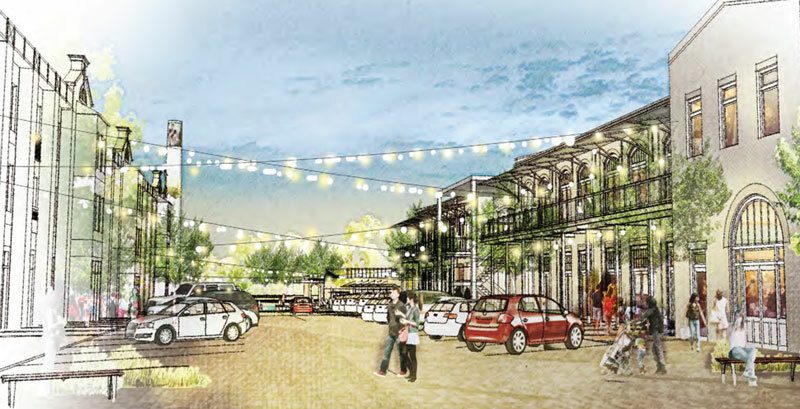 Modeled after great social spaces where people are more important than cars, this is where front doors and storefronts spill out into the street. 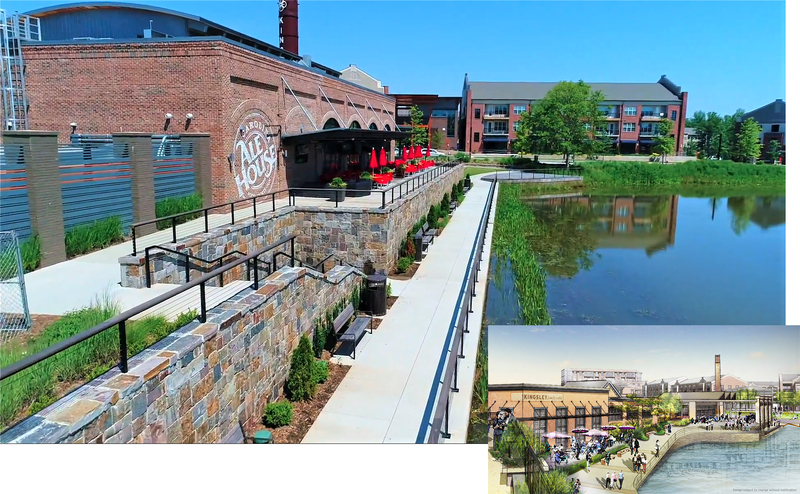 With a hotel, restaurants, retail, offices, and apartments, Broadcloth Commons is where many uses come together to create a vibrant and lively place. 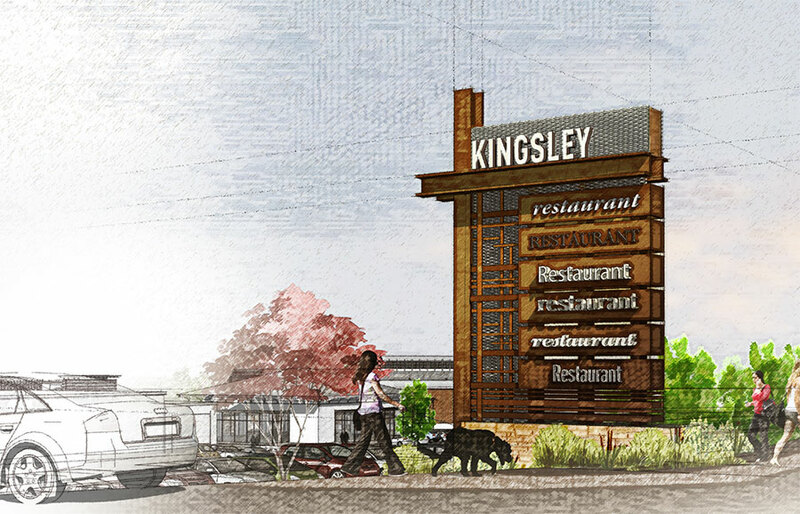 In the heart of the project, the Kingsley Stack will thoughtfully reinterpret smokestacks of the past and serve as a gathering place and beacon for the project. The Yard is the heartbeat of Kingsley. The Yard is at the center of Kingsley. Activated by bustling restaurants, this lush space is the place for festivals, interactive play, relaxing or just gazing across the lake. This is where visitors can play, dine, relax and enjoy. With contemporary styling and a lush landscape palette, The Yard is THE gathering place in Fort Mill. Contemporary edges, rich textures, and soft landscaping create a place that can continue to invite visitors to stay. Kingsley offers a unique bustling waterfront to dine, meet, play, and relax. 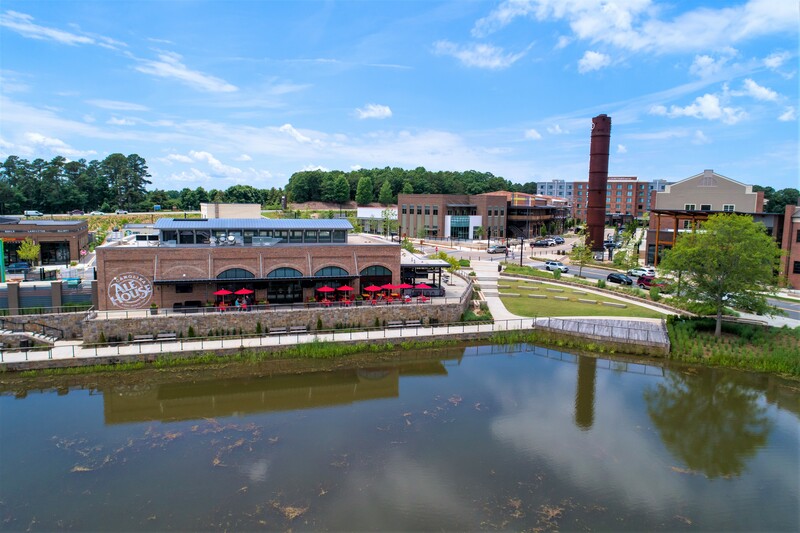 The Lakeside Promenade is the place in Fort Mill to stroll, relax, dine, and discover. 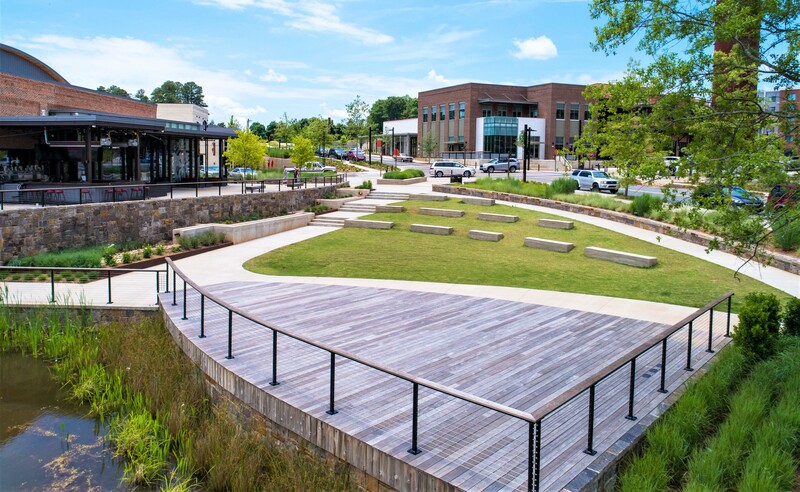 Carefully designed interactive play and ‘place making’ elements are scattered along the Lakeside Promenade, telling the story of the Springs/Close Legacy and Fort Mill. 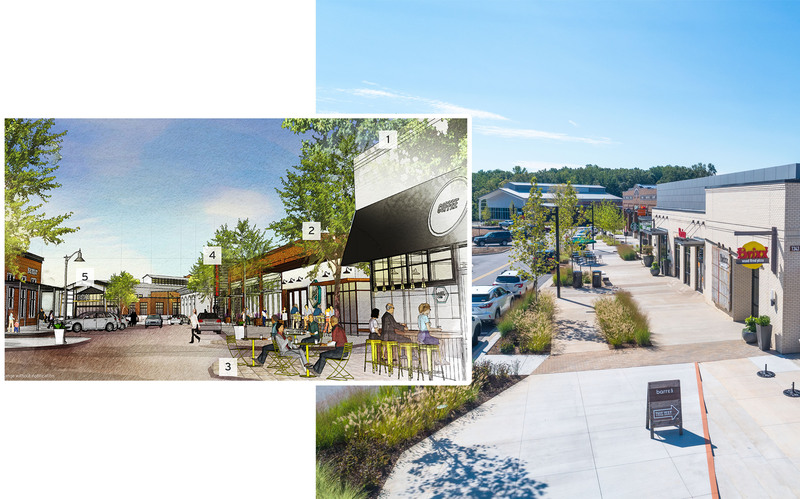 As an extension of the Anne Springs Close Greenway trail system, the waterfront is not only an isolated dining experience, but part of a larger network of connectivity in Fort Mill. A rich palette of textures foregrounds a premier dining experience on the water. Broadcloth Street is Kingsley’s main street. Its gentle curve brings visitors in, and begs them to discover more. This allows for the building footprints to turn a corner, creating unique spaces between. These spaces will become courtyards, dining gardens, and lush passageways - creating both surprise and delight. Where waiting for your reservation is a pleasure. Dining and entertaining are experiences. Acting as a portal from Broadcloth Street to the lake, the Side Porch is not only a place to pass through, but a place to sit, relax and stay. Carefully designed with shade and furniture, this could become Fort Mill’s favorite outdoor room.